The foundation repair specialists at Total Foundation Solutions are especially well-equipped to make these types of pool deck repairs. 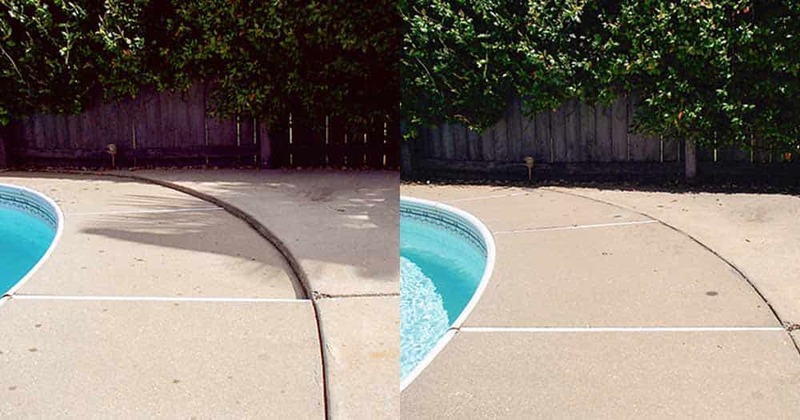 What's more, our innovative PolyLevel® concrete lifting and leveling technique is faster and more affordable than pool deck replacement. It's also a better option than pool deck resurfacing. Contact Total Foundation Solutions to have your pool deck inspected today! We serve Edinboro, Erie, Warren and neighboring areas throughout Pennsylvania and New York. Get a free estimate for pool deck lifting and repair. Injecting PolyLevel® expanding foam beneath a settled pool deck will raise the concrete back to proper level and also strengthen the soil so that the problem won't recur. PolyLevel® is a high-density expanding foam that our technicians can use to raise settled concrete. The two-part polyurethane foam mixture is injected through small holes drilled in the settled concrete. Our installers are trained to control the injection process so that just enough foam is used to re-level the concrete deck. Because the foam's expanding action fills voids in loose soil, this concrete leveling technique improves the soil's stability and load-bearing characteristics. You can feel confident that settlement won't occur again. 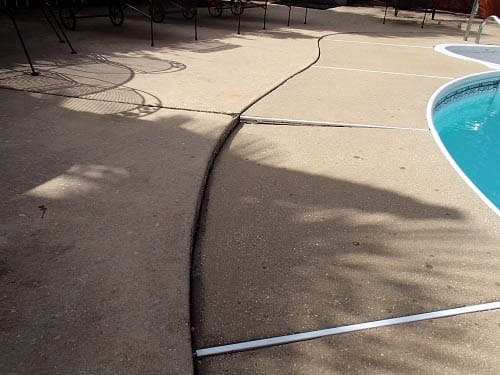 Worried that your sinking swimming pool deck might be a tripping hazard? Total Foundation Solutions has successfully raised and restored hundreds of pool decks in Edinboro, Erie, Warren, Meadville, Fredonia, Jamestown, Olean, Du Bois, Harborcreek, Hermitage and throughout Pennsylvania and New York. Contact us today! We can answer any questions you have about concrete repair and provide you with a free estimate to repair your pool surroundings.